VALLEY CENTER (CNS) - Authorities have identified the Oceanside couple in their 80s who were killed this week in a head-on collision with a woman suspected of driving while high. 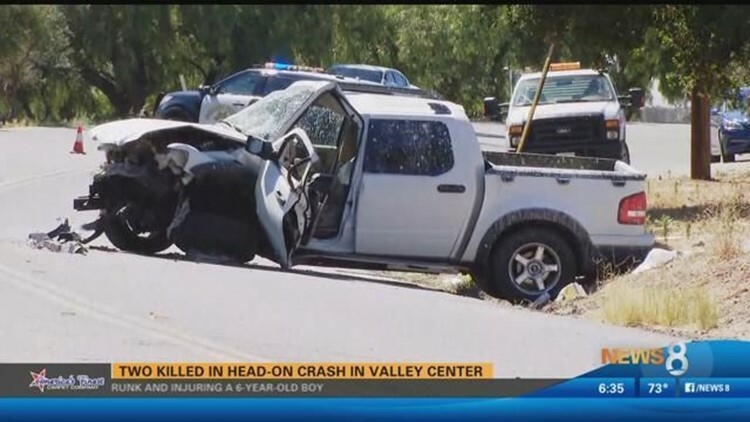 Bobby Guy Durant, 83, and his wife Alletta Jo Durant, 81, died on impact in the crash that occurred just before 1:15 p.m. in the 28000 block of Lilac Road in Valley Center, the San Diego County Medical Examiner's Office said. The Durants were heading eastbound on Lilac Road in a Mercedes- Benz E300 when they were struck by a westbound 2007 Ford Explorer Sport Trac that crossed the center divide, California Highway Patrol officer Chris Parent said. The Explorer's 27-year-old driver was flown to Palomar Hospital with major injuries and arrested on suspicion of driving under the influence of drugs. Lilac Road between Old Castle and Valley Center roads remained closed for about five hours after the crash due to pool cleaning chemicals that spilled from the Explorer, Parent said.